Since then, Austin has continued his strong drive toward a basketball career in the NBA (National Basketball Association). Now, however, he has received devastating news. As a precursor to being a likely NBA draft pick this year, he underwent medical testing to assess his health and fitness for professional sports. Isaiah Austin has Marfan syndrome, a rare disease (about 1 in 5,000 people have it) that affects the body’s connective tissues. Have you heard stories of athletes dropping dead in the middle of a game? Most likely it was caused by a ruptured heart or aorta due to Marfan syndrome. When we wrote about Austin previously, he had faced—and made—a choice about whether to give up on his dream, or pursue it despite his disability. Now Isaiah Austin faces another personal life or death choice. It is difficult to watch. This young man worked so hard and overcame so much to get to where he is—only to have his hopes and dreams dashed mere days before he was set to achieve them. He was expected to be picked up by an NBA team late in the first round of draft picks—no small achievement. When our dreams are dashed, what do we do? How is it fair to work so hard and overcome so much, only to have it all snatched away at the last minute? Austin has already shown the desire and the ability to be an inspiration to others. Through his hardships he has developed a depth of character that is rare in a twenty-year-old. Because of his struggles so far, and the support he has received, Isaiah Austin has both the character and the faith to go on and do great things with his life, even if it will not involve greatness on the professional basketball court. Do I give up on life, and let myself slide down into depression and despair? Or do I pick myself up, set new goals, and press forward on the new story of my life? He will live with that choice every day for the rest of his life. If nothing else, the fact that he was diagnosed with Marfan Syndrome before he went on to play professional basketball means that he will have a life, instead of potentially dropping dead on the court. If that had happened, it would have been hard to see the story of his life as anything but a tragedy. Now, although he will not achieve success on the basketball court as he had dreamed, he still has the opportunity to achieve success in life. Still, life isn’t very fair, is it? A few people are born into wealth and privilege. Many are born into poverty and need. Some people have loving, caring parents. Others suffer under ridicule, shame, and abuse. A handful of people win big bucks in the lottery. Hundreds of millions of others win squat. Some people live long and healthy lives. Others struggle and die early from genetic disorders. Unfortunately, by the usual measures of such things, life just isn’t fair. 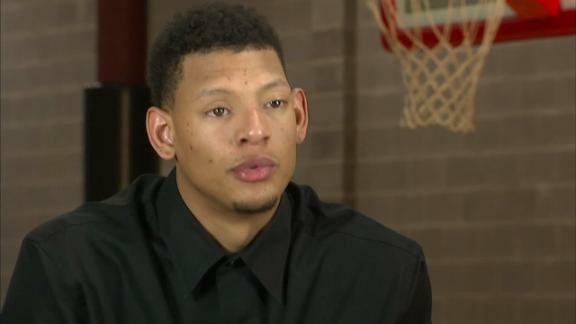 Is it fair that Isaiah Austin suffered a detached retina and became blind in one eye? As it turns out, the detached retina was likely due to his then undiagnosed Marfan syndrome. He struggled back to his feet, and began to make something of his life anyway. But now, his path toward basketball stardom is dead. He will have to watch from the sidelines as others who were not struck with a rare genetic disease go on to glory on the court. But as good a value as fairness is, it is not the ultimate value or goal of life. You see, we are here on earth to prepare ourselves for eternal life. (See “Heaven, Regeneration, and the Meaning of Life on Earth.”) And that means building a character that includes spiritual values such as patience, compassion for others, wisdom, and emotional maturity. Our entire life here on earth is only the beginning! For Austin, it is the beginning of a different life than he otherwise would have had. It is a life in which he can strive for new dreams, and make new goals. It’s not fair that he was born with Marfan syndrome. But knowing that he has it will prevent him from following a dream whose most likely result would have been his own premature death. And now, a whole world of other choices stretches out in front of him. There has already been one good result of this latest chapter in Isaiah Austin’s story. It has shone a national spotlight on Marfan syndrome. Perhaps his widely publicized heartbreak will help to prevent further sad stories of promising young athletes dropping dead on the court or field. For more on Marfan syndrome, visit the webpage of The Marfan Foundation. Update: If you would like to purchase an Isaiah Austin “Dream Again” Limited Edition Tee Shirt to benefit the Marfan Foundation, visit The Official Website of Isaiah Austin. And yet, the question still lingers: How can God let these things happen to innocent people? How can God allow so much heartbreak and injustice in the world? What is the purpose of our life here on earth? Is it to experience pleasure and glory for ourselves? Or is it to achieve greater goals? Very often, it is precisely the pain and suffering we experience that causes us to look deeper, strive harder, and make more of our life. People who have experienced pain and suffering, and risen above it in their hearts and minds, are able to help others who are struggling with pain and suffering in a way that those who have lived happy, carefree lives simply cannot. And the relationships we build in the process of helping one another through our struggles go far deeper, and are much more inspiring, than relationships based on money, privilege, and material success. We do not know what Isaiah Austin will go on to do with his life. But whatever he does, it will be with a more open and compassionate heart than if he had not had to suffer from the symptoms of a rare disease. Yes, this will happen only if he makes the difficult choice for life in new goals and dreams over death in depression and despair about his lost dreams. However, his life and his struggles so far have prepared him for that choice. And the publicity generated by his story means that he will have many people rooting for him. Each one of us faces a choice of our own. 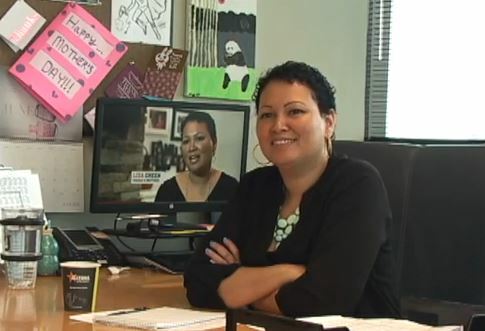 As Isaiah Austin’s mother, Lisa Green, said to him when he faced his earlier choice about whether to continue on with one sightless eye, when something knocks us down, we can either make it our excuse or make it our story. This is the spiritual choice that God puts in front of every one of us: the choice between life and success or death and disaster (see Deuteronomy 30:11-20). After all, as Martin Luther King put it so eloquently in his famous “I Have a Dream” speech, what matters most in life is the content of our character. Our story here on earth is the story of the development of our character as human beings. That is the character and the story that we will carry with us into our eternal future. We wish the best for Isaiah Austin. It will take time for him to grieve the loss of his dream. But we have every confidence that he will attain achievements and success on an even higher level than he originally sought. What challenges, pain, and suffering have you had to overcome? How have they made your life different? What new depths of character have you developed as you have faced your own challenges and struggles? When have you chosen life over death? I understand his grief. One of my sons’ was diagnosed with Marfan Syndrome. We made many yearly trips to Johns Hopkins Hospital. We lost our son at the age of 19. What a wonderful son he was and a wonderful friend to everyone. I shall pray for Isaiah knowing he has a strong love for our Father and He will watch over this courageous young man. So sorry to hear about your son. Now he is in a place where he doesn’t have to spend time in hospitals or struggle with his health–a place where, as Jesus said, “their angels always behold the face of my Father.” Still, it leaves a hole in our hearts.